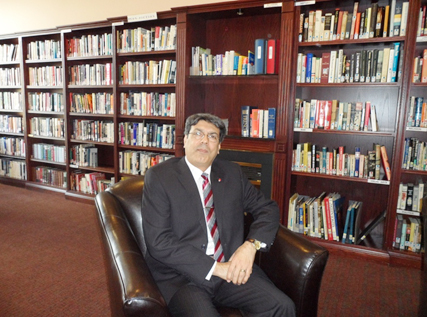 Since 1991, Pastor Kouroesh Barani founded Toronto Iranian Christian Church in Toronto, Canada. The Vision of Pastor Barani is to reach Muslim with the “Message of Victory!” You can hear his sermon every Sunday in our weekly services as well as online. His preaching is straight forward and from the heart. He wants to see Iranians and Afghans Muslim accept Christ and be part of God’s family. Pastor Barani has heart to work and serve among Iranians Muslim in Canada and around the world. He has spoken at numerous Pastor and Leadership Conferences throughout the world. Pastor Barani has made many visits to the countries Like Switzerland, Holland, Germany, United States and feels a real call from God to partner with pastors in different countries as well as here in Canada.